Helicopter Tour to Everest Base Camp starts from Kathmandu international airport that flying east toward to Lukla for fueling in the first. Lukla is a beautiful small Himalayan Sherpa town and also known as gateway to Mt. Everest. After fueling in Lukla, the flight journey begins all the way to Base Camp and Kalapathhar. 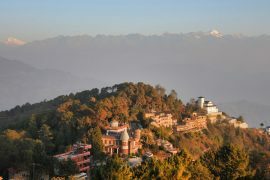 After that, we head to Kalapathhar, the best point for views of the world’s tallest mountain and it’s in line Mountains. Thereby we take a flight to Syangboche and spend around 25-30 minutes at a hotel for meal as also enjoy the stunning view of Himalayan ranges. Next, we fly back to Kathmandu via Lukla and terminate our incredible helicopter journey. Mount Everest Heli tour offer you amazing Himalayan attractions which include 5 above 8000 m mountains such as Mount Everest 8848 m, Makalu 8463 m, Lhotse 8516m, Shisha-Pangma 8013 m and Cho O Yu 8201 m along with other 28 snowcapped mountains of Mahalangur and Rolwaling Himalayan range. 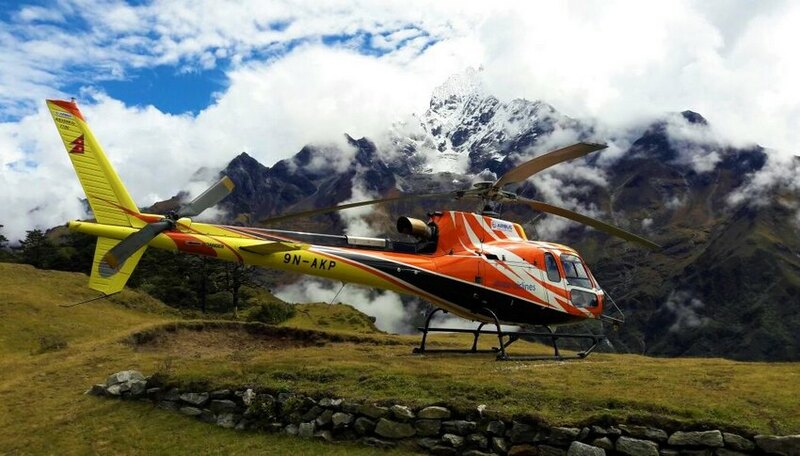 There is no other best alternative to Everest Helicopter excursion for adventurer who wish to approach World’s tallest peak within short period of time. This flying excursion is one of the remarkable lifetime adventure for the adventurer who have very tight schedule and physically incapable people. We would like to recommend that take a trip in private group like with family, colleagues and friends. Pre-plan the trip before getting out for this trip to Nepal. 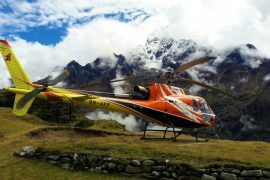 Because, the prices for the Helicopter tour to Everest are always relies on a group size, consequently the expense of this tour is going to be always reasonable. Thus, if anyone who is pre-planned then let us know. Trip Route: Kathmandu to Kalapathhar, Everest Base Camp-Kathmandu. Max Altitude: Everest Base Camp 5364 meter (17599 ft), Kalapathhar 5,545 m (18193 ft). Trip Duration: Approx. 4 hours (1 Day). Group Size: Max 4 to 5. Flight Days: Every Day Available in March, April, May, September to November. 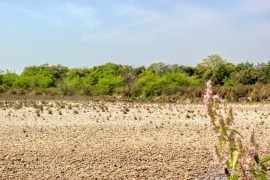 Best Time to Visit: To be honest, it is not good to say any time of the year, Autumn season (Sept to Nov), Spring (March to May) and Winter season (Dec to Feb) is perfect to do this trip, it is not recommended to do this trip during Monsoon period (June to Aug). What are the things we must bring? Clothing and Equipments such as Windproof down jacket, Gloves, Sunglass, Hat, Sun screen cream, Lip care, Toilet paper, Water bottle, Camera and extra battery etc. plus you can carry Light snacks, chocolates and dried fruits. Kathmandu to Lukla: At 5:30 am, we will meet you at Hotel in Kathmandu. Our flight journey begins at 6 :30 am and normally it takes roughly 45 mins to reach Lukla airport for fueling. Enroute within 45 min you can appreciate the view of Mt. 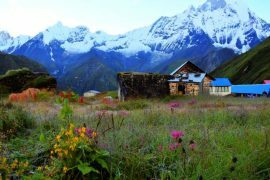 Langtang, Rolwaling and Mahalangur Himalayan range with beautiful landscape. 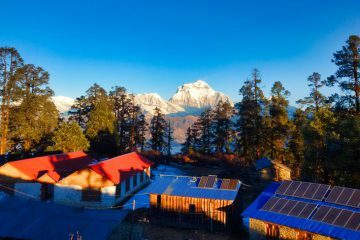 Lukla to Everest Base Camp and Kalapathhar: After refueling, we are going to carry on our flight to Kalapathhar (best viewpoint to lookout Mt Everest) and Mount Everest Base Camp for landing. Remember that, you will have very limited time around 5-10 min here because of high altitude threat, since quick swift from lower elevation to higher altitude can lead to acute mountain sickness. 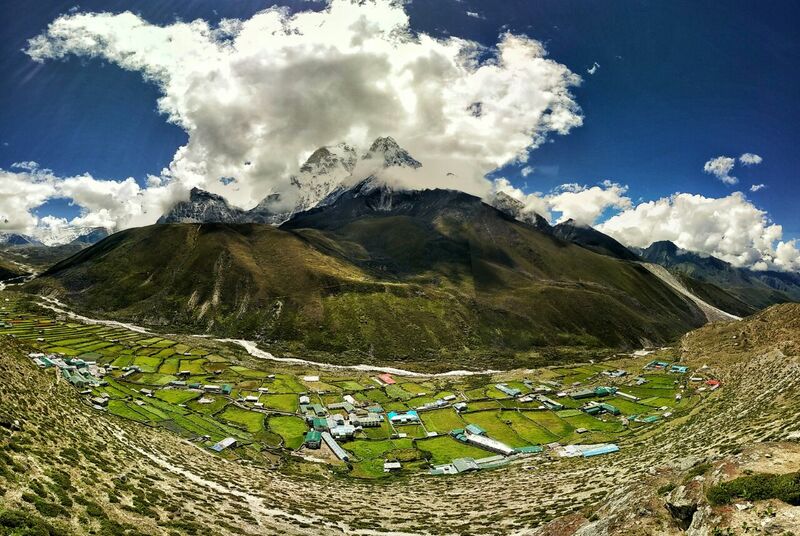 Similarly, after that we move to Syangboche. Kalapathhar to Syangboche to Lukla: Here we take breakfast and enjoy the view, take a rest for a while around 45 min and fly back to Lukla. Syangboche to Lukla domestic airport. Lukla to Kathmandu: 11 am we will fly back to Kathmandu from Lukla and it takes around 45 minute to arrive at KTM. Didn’t satisfy with This itinerary? We are ready to help you to customize a trip as per your desire. 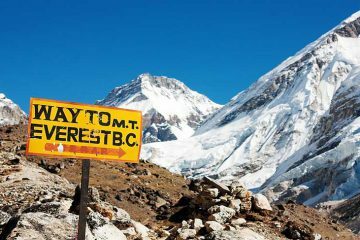 What is Included in Cost for Heli tour to Everest? Airport pick-up and drop-off by a private vehicle. Breakfast in Hotel at Syangboche. All local & government taxes. Note: Additional cost is required to use oxygen cylinder, if you want to use it outside the helicopter for personal use. 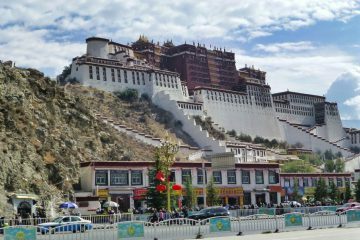 Expenses of personal nature such as hard / soft drinks, tips, and meals in Kathmandu and Everest, all through the day trip. Price of personal Stuff like Down jackets, Hat, Sun glass and etc. Didn’t get enough Information? if you would like to talk about almost any aspect of this trip, please contact us via email or call us.